Cynthia Wright’s writing is potent, much like the burn of French brandy. Her words warm all of you. “Rakes & Rebels” combines the intertwining Raveneau and Beauvisage family novels into one captivating 10-book series! The year is 1783, and rakish Alexandre Beauvisage is returning from the Revolutionary War when he discovers Caroline, unconscious in the Connecticut woods. Dressed as a boy, she has no memory of her past. Against his better judgment, he takes the lovely foundling with him to his home in Philadelphia and finds his life increasingly complicated as the fiery attraction between them builds and Caro’s dangerous past reaches out to her. Authors Note, January 2013 – This new, subtly revised version of Caroline addresses issues raised by some contemporary readers. Caroline was originally written and published in 1977, but times have changed. In this new edition, Alec is a more mature alpha hero and Caro is a stronger heroine. If you have read and loved Caroline in the past, I think you will love it even more now! My Thoughts: This book, I understand is the debut novel from one of my favored authors, Cynthia Wright. I’m reading through the series. Hopefully, I’ll be listening to the narrated version of each book. 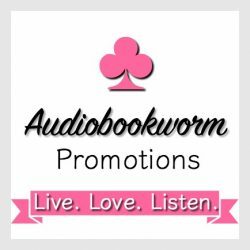 This entry was posted in Audiobook, Audiobook Review, Book Reviews, Historical Romance, Romance, Women's Fiction and tagged Caroline, Cynthia Wright, Emily Beresford, historical romance, Rakes and Rebels Series. Bookmark the permalink.